Breathing beauty, Kashmir triggers the morale of many photography enthusiasts. The glisten of snow-clad mountains, the well-appointed shikaras on the sparkling Dal Lake, beautiful apple orchards, the unmatched glimpse of floating vegetable market and the rich culture call out loud to those with fervor to capture precious moments for the lifetime. However, Kashmir still insists that true beauty does not reside in what is seen but in what remains hidden. Kashmir photography tour allows one to unfold splendor and cherish every moment by capturing it in camera. The beautiful capital city Srinagar, where the view of and from the Shikaras is splendid gives opportunity for some bright clicks. On the other hand the impeccable beauty of shrines like Hazratbal, Charar-e-Sharief, Mughal Gardens and of the colourful markets encourage exceptional digital stories. 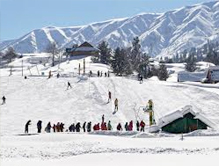 Another notable destination of Kashmir photography tour is Pahalgam: this exceptionally picturesque destination often is the favourite of nature photographers. The white gurgling rivers that flow along the long stretches of lush green meadows, immense flora and fauna and surrounding lofty snow-clad mountains make for a picture perfect click. 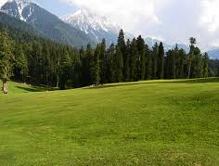 The green isolated flower-strewn meadows and sparkling lakes of Yusmarg are something worth capturing, whereas the undying beauty in Gulmarg has the capability to get attention of many cameras. The astounding beauty of Khilanmarg and Nagin Valley draws lot of nature photographers to capture the awe of it. Also a visit to the snowy slopes of Apparwath, Kongdori and Shark Fin can earn some great shots to boast about. The valley of Kashmir has one more asset added to its glory, the picturesque Sonmarg is a treasure chest of nothing else but beauty. Sonmarg and its breathtaking surroundings captivate the onlooker, giving the nature photographers ample opportunity to capture in their camera a series of paradoxes. Trek to beautiful lakes like Kishansar, Vishansar, Gadsar and Kanasar to get mesmerized. On the other side, the view of Thajiwas glacier and the Zojila pass ensure some brilliant moments to cherish. The resplendent beauty that Kashmir is an owner of has a blend of culture, nature and heritage. The pretty faces of Kashmir are often the ones with the right combination of any of these genres. Each destination in the valley proffers a good opportunity to capture something unique and interesting. With the vivid colors of the landscape and the undying zeal of a nature lover, photography in Kashmir is a success. The shrines and other monuments scattered in large scale in Kashmir mark the peripheries for ardent cultural photographer. Kashmir photography tours indeed opens doors for better understanding of nature and its mystical ways.